In anticipation of our Spring Opening this Saturday, here’s what’s happened so far to give you a taster for this weekend! 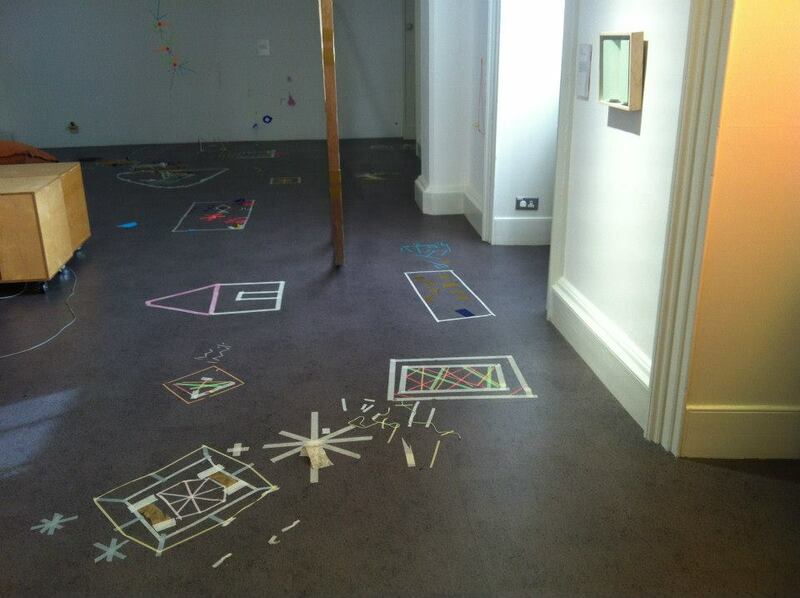 Following on from the success of our Action all Areas exhibition for families, which marked our reopening last October, I was asked to curate an exhibition for families that responded to, and facilitated an engagement with, concurrent exhibitions Patrick Scott: Image Space Light, Are jee bee? Haroon Mirza and Line Writing by Vong Phaophanit. 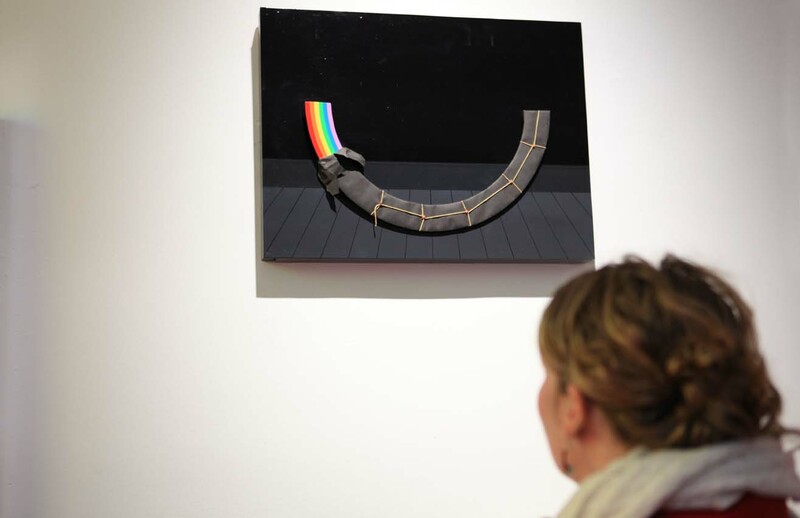 When I began to look at these exhibitions an overlapping theme began to emerge, which was how we experience space through light, colour, line and sound. 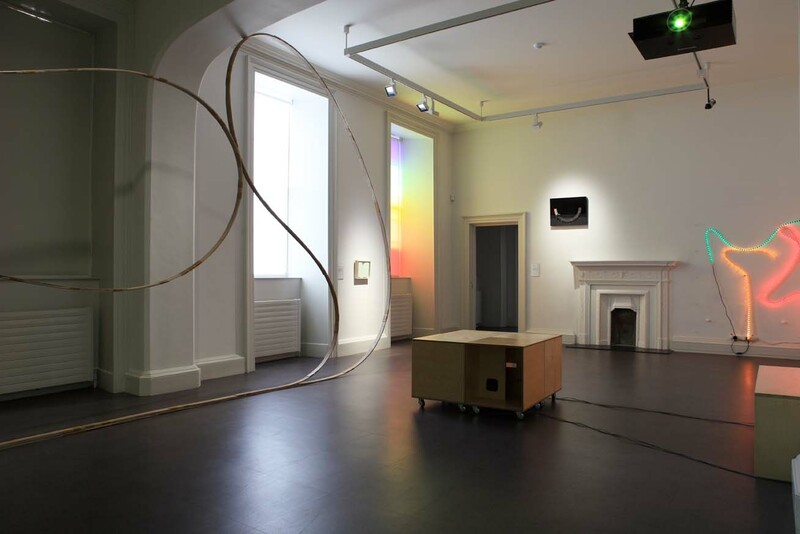 The exhibition is a mixture of artworks from the Collection, Dorothy Cross’s Ghost Ship and Patrick Hughes’s ‘Present’ Rainbow, and artworks on loan like Here beside you in this room by Liam O’Callaghan and Colophon by Gavin Murphy. 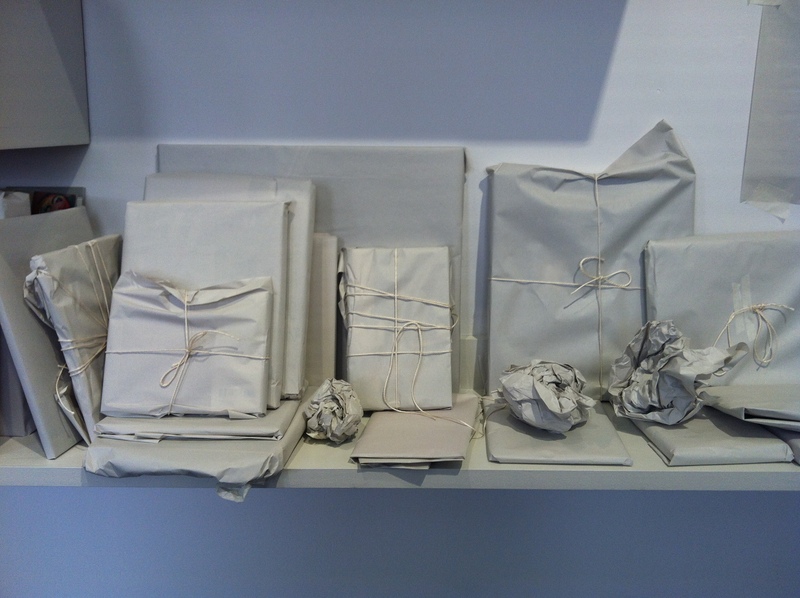 Alongside these are IMMA commissions and interactive works like Compositions 1-36 (2010) by Karl Burke and Russell Hart and Rainbow in the palm of my hand (2014) by Fionnuala Conway and Mark Linnane . 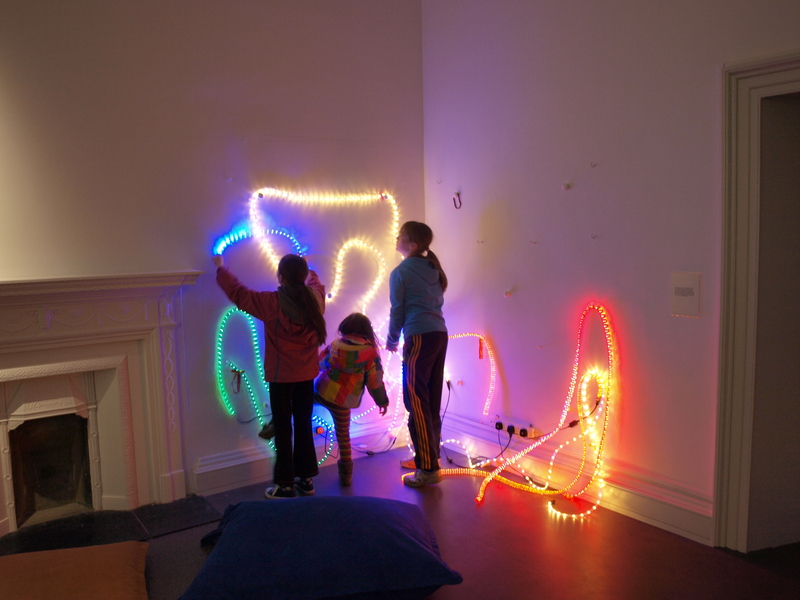 An interactive wall of LED rope lighting that invites participants to create their own installation and a room where children (and adults) can influence what colour they are immersed in, both reference the work of Haroon and Vong and aim to give participants the opportunity to play around with space and light – like an artist would. 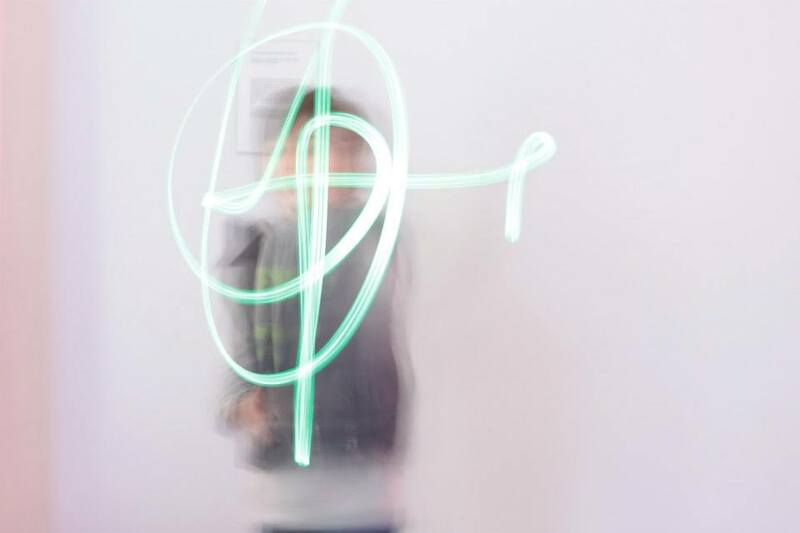 And so far in our Explorer programme every Sunday from 2 – 4pm we have; taken over the space with lines, created abstract drawings in response to sound, and adapted the space with light projections and colour! 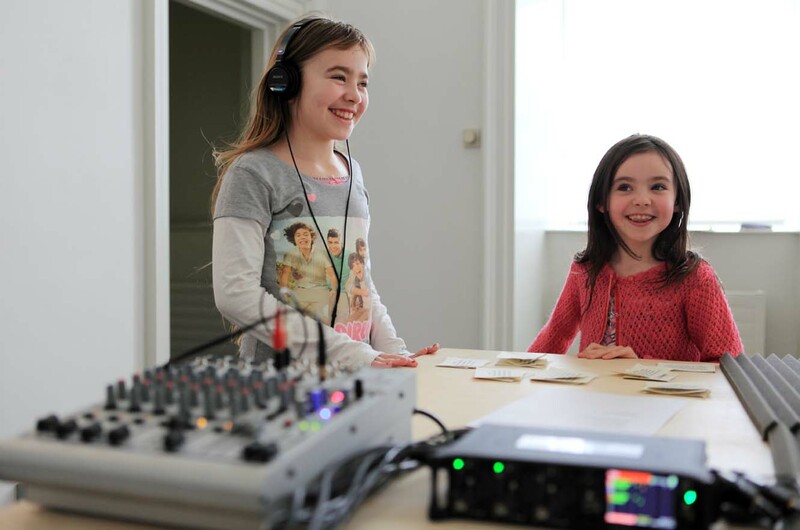 Our next artist intervention in the Light Rhythms exhibition will be Saturday 5 April from 12pm with Karl Burke – where visitors will be invited to stop and listen, and to take part in a collaborative sound installation. 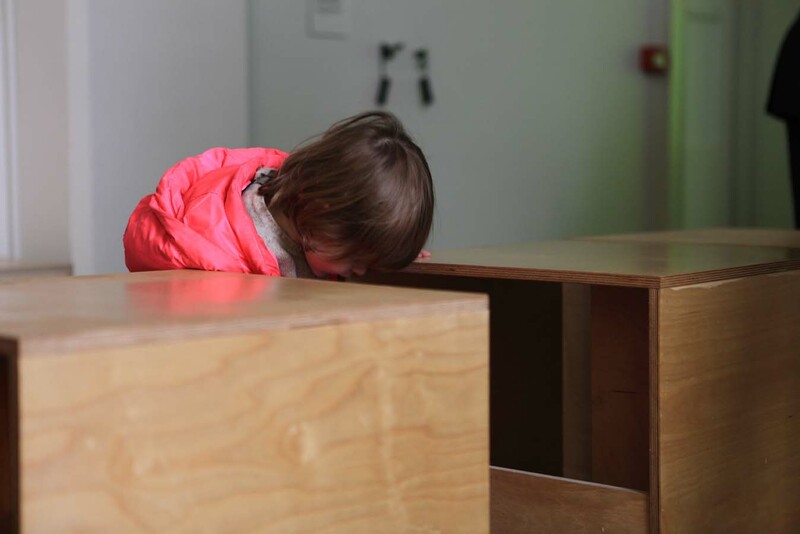 This is part of our spring launch party, which also includes a drop-in DJ workshop with DJ Simon Conway for children aged 7+ (and parents) and an interactive sculptural installation in our courtyard called Making the Connection by Julian Wild. 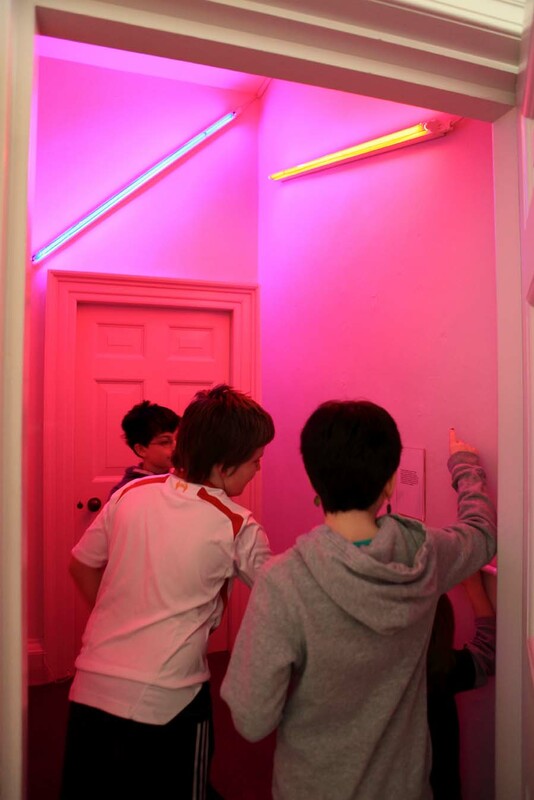 The Light Rhythms exhibition will close mid-week from the 7 April for re-installation and will be open over the Easter school holidays. Images Katy Fitzpatrick and Senija Topcic.